Earn 155 - 280 points upon purchasing this product. Use 1550 - 2800 points to purchase this product! PCOS is a situation where androgens (male hormone) in the female body that is too high. High levels of insulin from sugars and hyperandrogenism is the main cause and result of this disorder, but can also involve effects from the pill and nutritional deficiencies (see below). Most importantly is what we eat and when, so reversing PCOS can be done with conjunction with the Healthy Ketogenic Diet and Intermittent fasting which helps keep the body burning fat whilst lowering insulin levels, and because you are eating higher fat and no sugars, you feel satiated and will not have the usual carb cravings once you get through the first few days. Tip: Proper diagnosis requires a blood test that shows high testosterone or other male hormones like androstenedione or DHEA. Never accept a diagnosis that was made by ultrasound alone. Read Article: Maybe You Don’t Have PCOS. • Inflammation ( stress, environmental toxins, foods like gluten, sugar and A1 Milk). 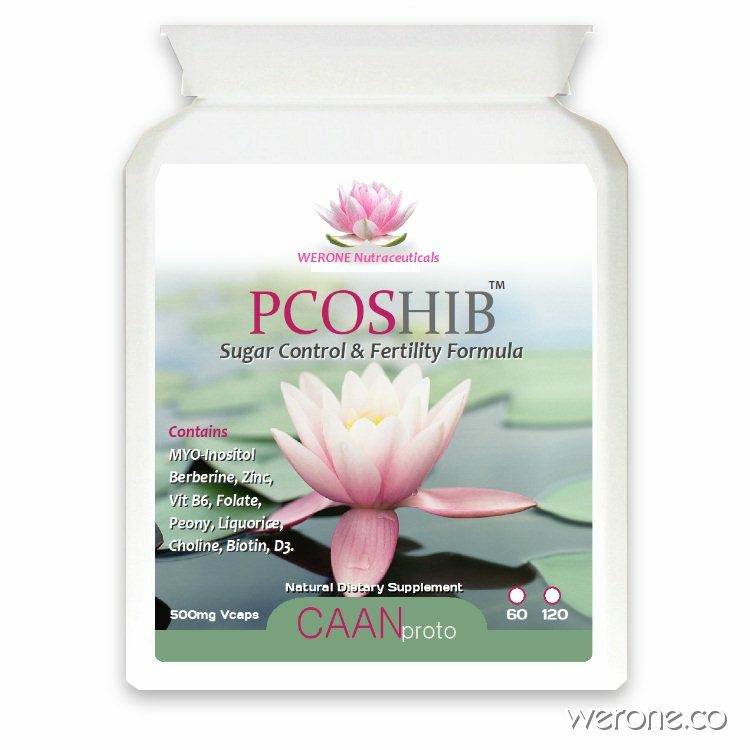 By taking PCOSHIB™ along with healthy keto (Ketogenic Diet) and Intermittent Fasting to lower insulin resistance (which causes high levels of androgens) may help reverse PCOS.